Medium copper-pink color; strawberry, red berries, plum on the nose; strawberry, watermelon, red fruits on the palate. Dry; simple; nicely focused with pleasing mouthfeel on the initial attack, then a surprise— some pink grapefruit, saltiness, bit of bite on the finish. Crisp, clean; bright acidity (3.3 pH). Blend of 45% malbec, 45% cabernet sauvignon, 5% sauvignon blanc, 5% pinot gris (according to the winery’s spec sheet, label says 50-50 malbec and cab; I usually go with the spec sheet that is printed after the label). Made with certified organic grapes. 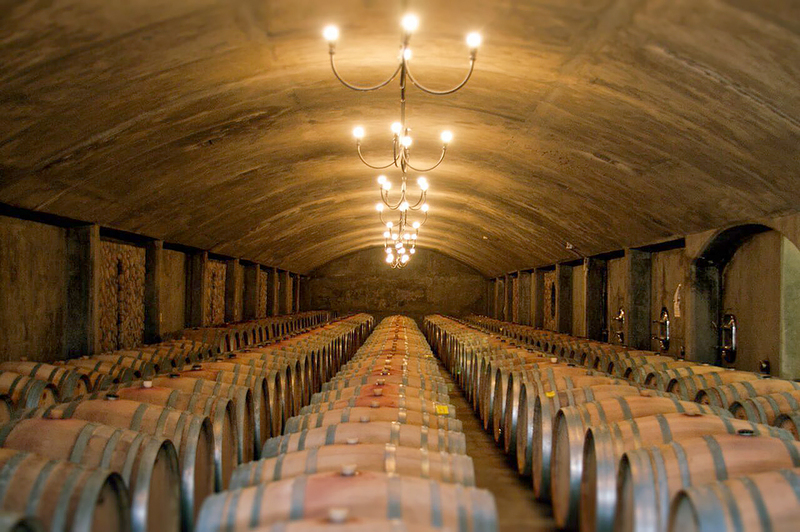 The Bousquet family has four generations of winemaking experience. 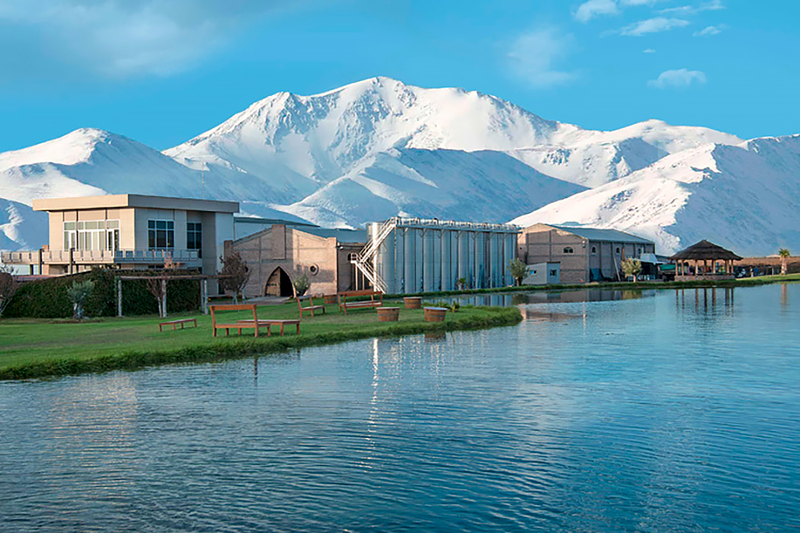 They arrived in Mendoza, Argentina, from France in 1990 and fell in love with the possibilities. 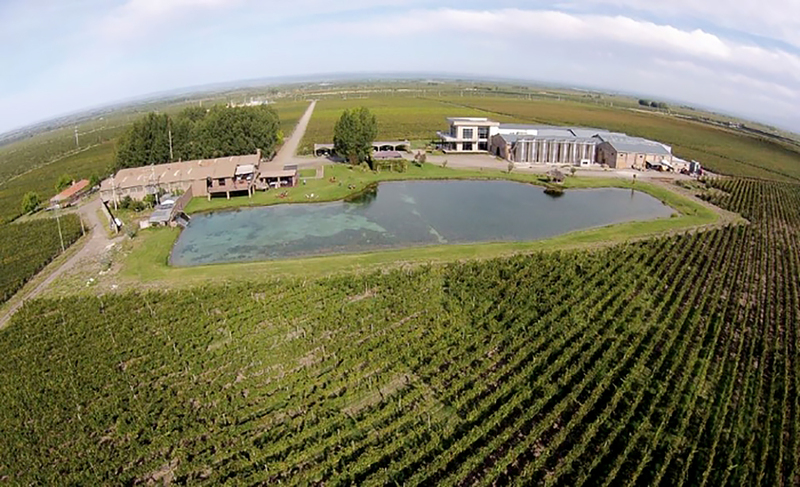 They purchased land in the foothills of the Andes in 1997 in the Tupungato Valley, elevation 4,000 feet, one of the higher altitude vineyards in Argentina and the world. 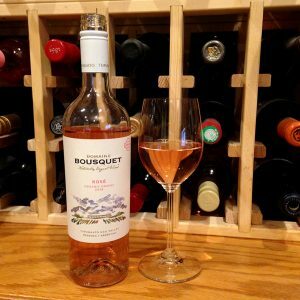 The climate is very dry, allowing Domaine Bousquet to have excellent water control through drip irrigation using meltwater from nearby Andes Mountains. It appears Bronco Wine Company has either acquired this brand or is the U.S. distributor. 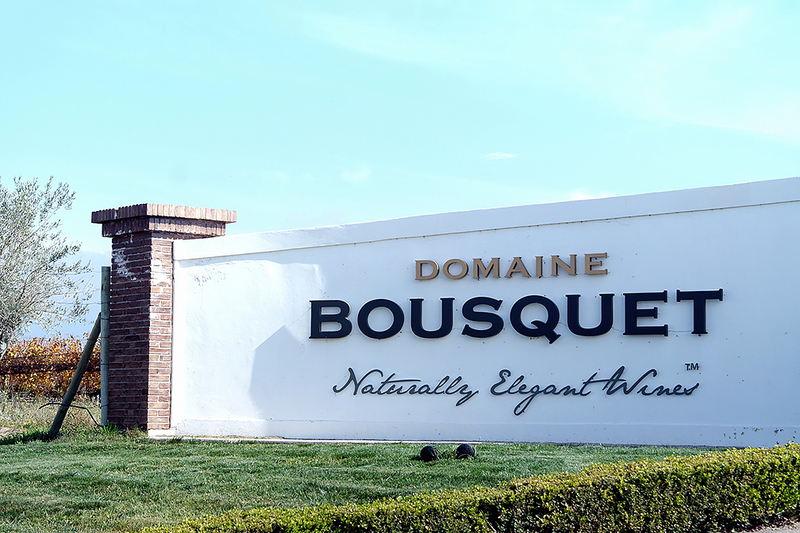 The website still touts the Bousquet family, so Bronco either is the U.S. distributor or Bronco bought the brand and kept Bousquet as managers of the operation. I will vote for Bronco being U.S. distributor.